On this page, you will find lists of Lang Roofing, Inc.'s roof construction partnerships, including our suppliers and the associations of which we are proud to be called members. Every roofing supplier and association has a website which you can view by clicking on their listing. 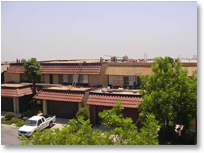 Roofing Contractors Association of Southern California - Owner Steve Lang served as President 2006, 2007 & 2008.